Sometimes, internet searches and your wrench are not your friend. Although Google may make you feel as though you are a professional plumber at heart, it can often lead to expensive repairs when you have to call us in. We want to help. Here are some do’s and don’ts of home plumbing to help get you started on the right path to repair. ▪ DO – Run water at full pressure when you use your disposer. ▪ DON’T – Put coffee grounds in your sink drains. ▪ DON’T – Hang a knick-knack shelf over your toilet. ▪ DON’T – Throw sanitary napkins in toilet. ▪ DON’T – Use drain cleaners containing lye. ▪ DON’T – Hang a shelf for heavy objects over a sink. ▪ DON’T – Pour fats or cooking oils into your sink. ▪ DON’T – Leave water turned on to hoses for washing machines, dishwashers, and garden hoses when not in use. 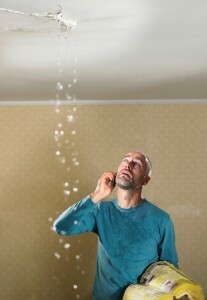 Most importantly, don’t attempt to handle large plumbing projects on your own. The better investment is to seek the professional care of a plumber rather than break something that would be costly to repair. Email us today to learn more Do’s and Don’ts that will help you as a homeowner! 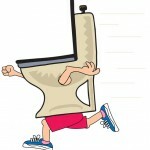 Prep Your Plumbing for Winter Is Your Toilet Running?